We visited the statue, read the information board outside the Greyfriars Bobby pub and took a tour of the Kirkyard on a cold afternoon just before sunset. It was interesting to see how many other people were there, obviously coming to see Bobby's grave and the grave of his master, Auld Jock . It was also interesting to compare the illustrations in the book by Ruth Brown with the layout of the graveyard in front of us. I think the paths have been improved since the book was written. We saw the statue but unfortunately, didn't make it to the Museum of Edinburgh to see Bobby's bowl and collar. Instead we briefly visited the nearby National Museum of Scotland. It's well worth a visit and we would gladly have stayed longer there. My little boy, X, thoroughly enjoyed the hands-on activities in the Discovery Zone. Both Museums are free entry, although there may be charges for special exhibitions at The Museum of Edinburgh. 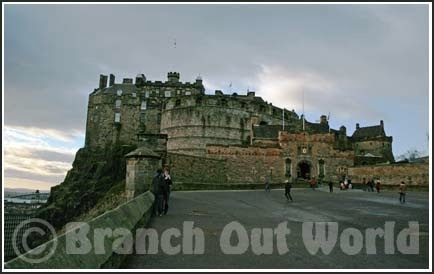 While we were in Edinburgh, we walked up the Royal Mile to Edinburgh Castle. It's an amazing walk at this time of year. The street is lined with open air market stall and we enjoyed some fabulous street acts, including one that was Yoda, apparently floating on thin air. We're still trying to work out how the street performer managed it. At the Castle, we were able to see firsthand the neck of the volcano that forms the hill on which Edinburgh Castle sits. You can see it for yourself in the left-hand side of the photo below. We didn't go into the castle, we were rather limited for time, but we did get a marvellous view of Edinburgh City from above. Edinburgh is a lovely city to visit with children, there are lots of other museums to visit and things to do, far more than we had time for. I'd love to go and spend a weekend there in the summer and really make the most of the longer days, taking the time to explore the Old Town. Picture Book Explorer guides are a new learning tool aimed primarily at Home Educators but are equally as useful to any parent wishing to broaden their child's educational horizons beyond the confines of the National Curriculum. 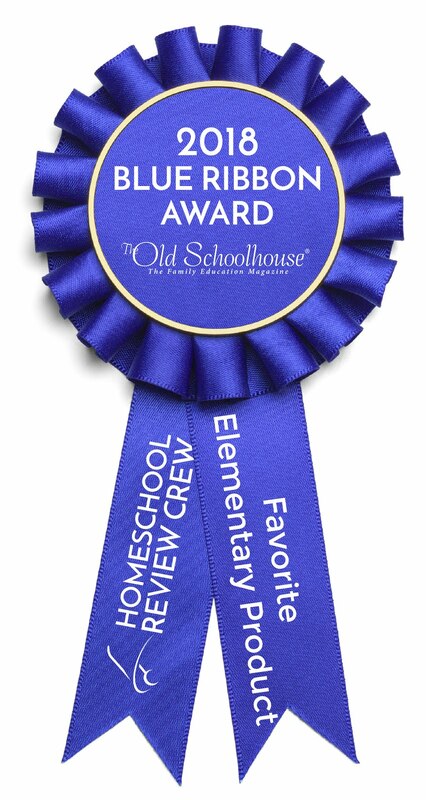 The guides are written by a Home Educator of 20 years (and counting) and are thoroughly tested by her two youngest children along with a number of other families of varying sizes and age groups. Each one costs only £2 and provides you with a minimum of a week's worth of cross-curricular activity/lesson suggestions. And it's all complete with the necessary printables. All you need to do is gather together the required cooking ingredients, craft materials and, of course, the relevant picture book. I am excited and proud to announce the release of the first selection from Series 1. 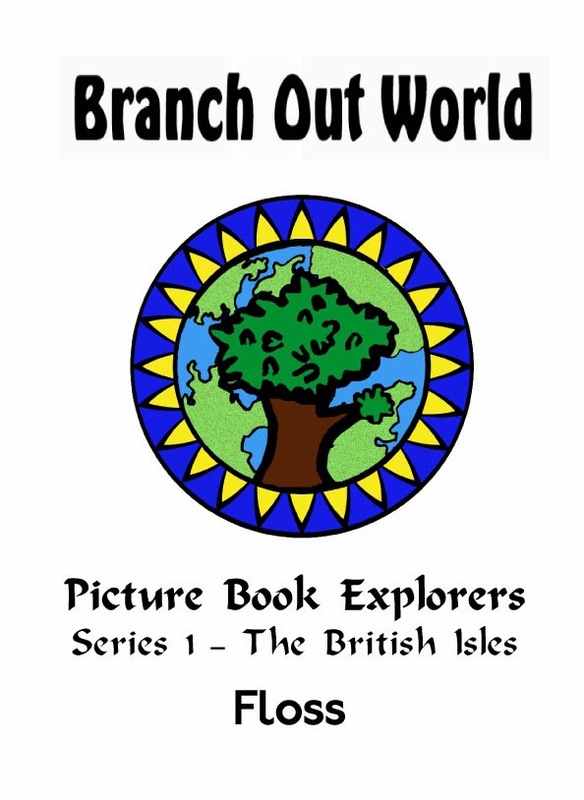 This series will take you on a tour of the British Isles via the world of quality children's picture books. Other titles will be released on a monthly basis with more series to follow in the future. 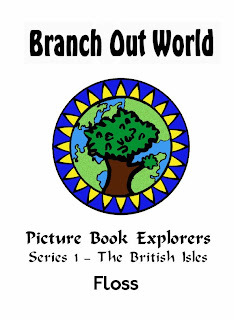 Picture Book Explorers guides are exclusively available at Currclick. 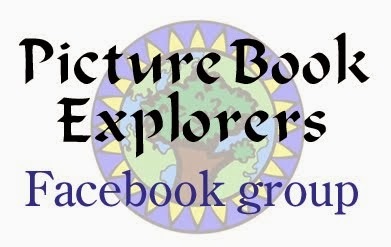 Please check out the About Picture Book Explorers tab for more information. 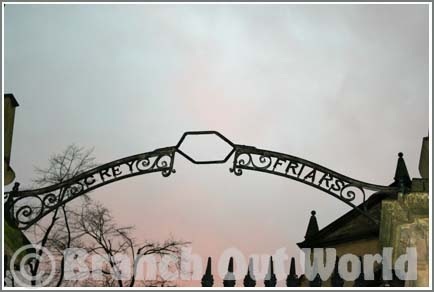 This blog is part of the Amazon Affiliate link scheme which means that if you buy from Amazon via our link, Branch Out World will earn a small commission at no extra cost to yourself. Currently, until August 2015, ALL proceeds from our Amazon Affiliate link will go towards fund raising for two of our local scouts to get to the 2015 jamboree. It is quite an achievement for them to be selected and an opportunity of a lifetime. Thank you.